Hi there! My name is Val Sanna and I am an independent graphic designer based in Oakville just west of Toronto, Ontario. Since 1995, I’ve been helping clients create and enhance their brands with enticing visuals that get noticed and strategic communications that set them apart from their competition. My passion is truly understanding your communications challenges and offering solutions that position your business for greater success. Have a project in mind? Let’s get in touch and discuss your needs. In this blog, I hope to share some insights into my work as well as some observations from the worlds of design, technology, business and whatever else strikes my fancy either personally or professionally. To stay up to date with new content as it’s posted, please subscribe by RSS. Enjoy, and thanks for stopping by! Let’s start by clearing up any misconceptions between logos (also known as brand identity) and brands. 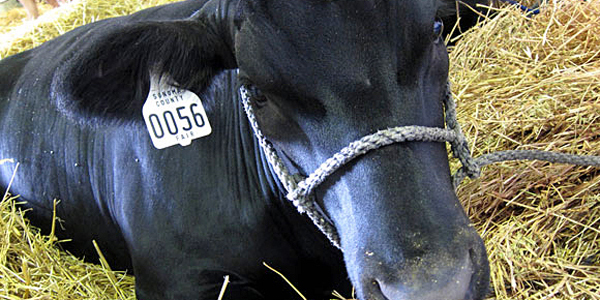 In his book, Logo Design Workbook, designer Sean Adams describes it this way: A logo is not a brand unless it’s on a cow. A brand, rather, is the perception formed in the audience’s mind about a company, person or idea. This perception is the culmination of the logo, visuals, identity program, messages, products and actions. The designer doesn’t make a brand. Only the audience can do this. The designer’s role is to create one of the most important aspects of the brand—the logo or brand identity system. A logo or brand identity can’t make a bad product or company better, but a well-designed identity will help position a product or company to realize its full potential. Brand identity builds awareness and customer loyalty. A company that invests in a creating a professional brand identity gives its management, sales agents, and employees a great tool to inspire team spirit internally and to connect with its customers in the marketplace. A professional identity becomes the face of a company or organization and is often the first connection between the brand and its target audience. In today’s mobile-enabled world there has never been greater opportunity for brand exposure and experiences. We all want to make a favourable first impression, don’t we? Clarity and strategy regarding the values of your brand and how it should be positioned or perceived is the critical starting point before any design creative can begin. Armed with answers to essential briefing questions the designer can then create an identity that truly embodies what the brand stands for. In my next post, I’ll cover what makes a successful brand identity.